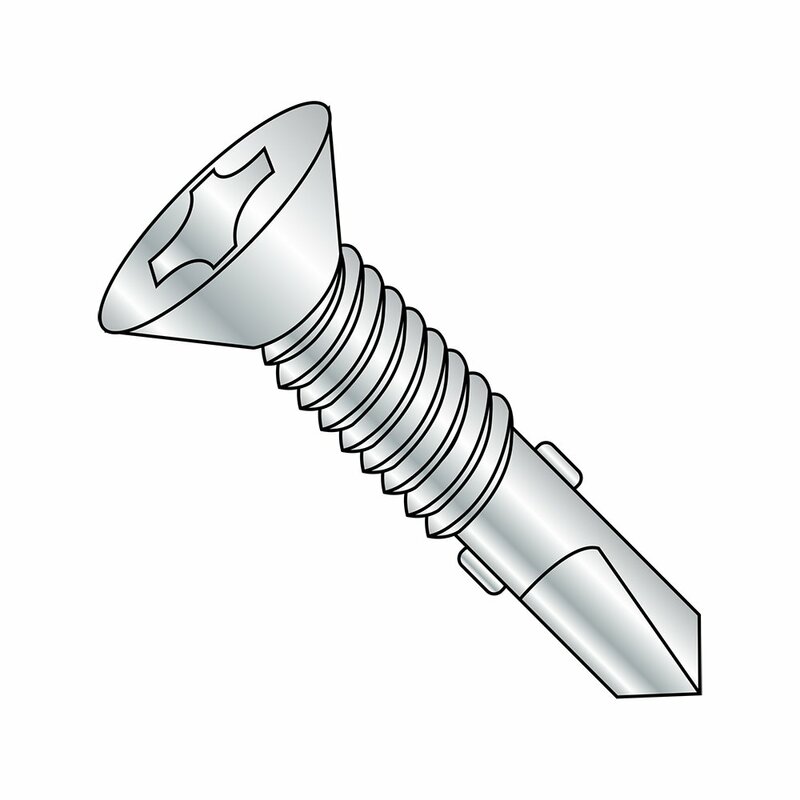 The 40 stainless steel self-drilling screw with plain finish has a modified truss head and a Phillips drive. 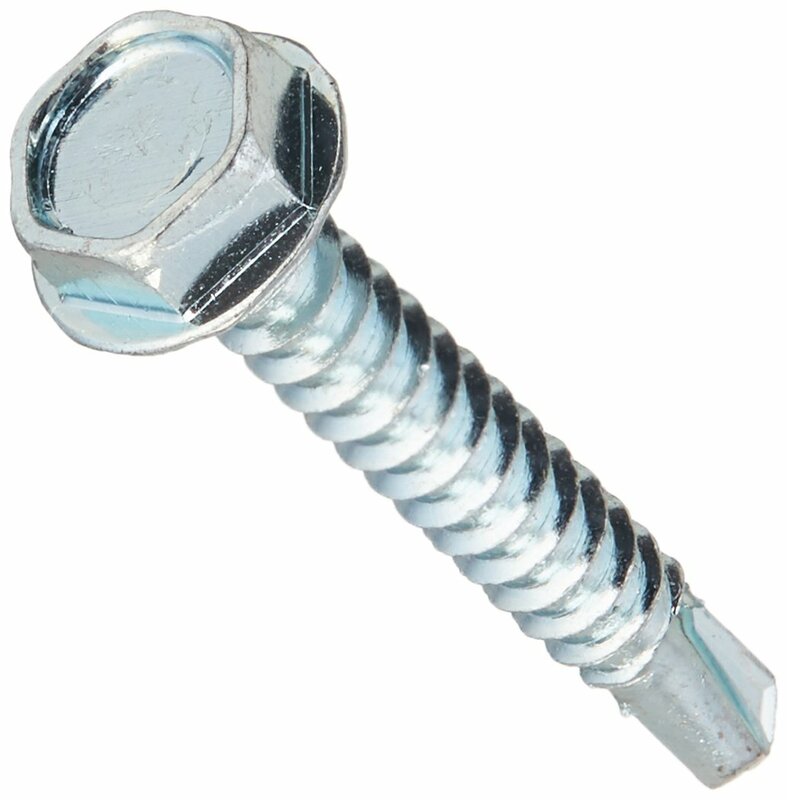 The 40 stainless steel material offers high strength and hardness ratings, and resists corrosion in mild environments. The material is magnetic. The modified truss head is extra wide with a low-profile dome and integral round washer. 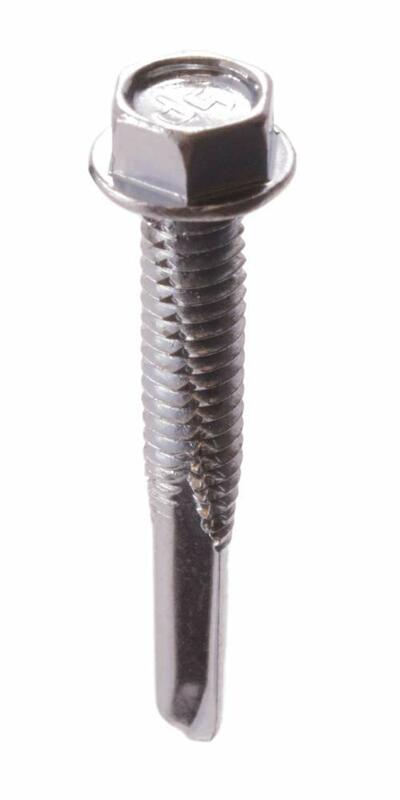 The Phillips drive has an x-shaped slot that accepts a Phillips driver and is designed to allow the driver to slip out of the head to help prevent over-tightening and damage to the thread or fastener. 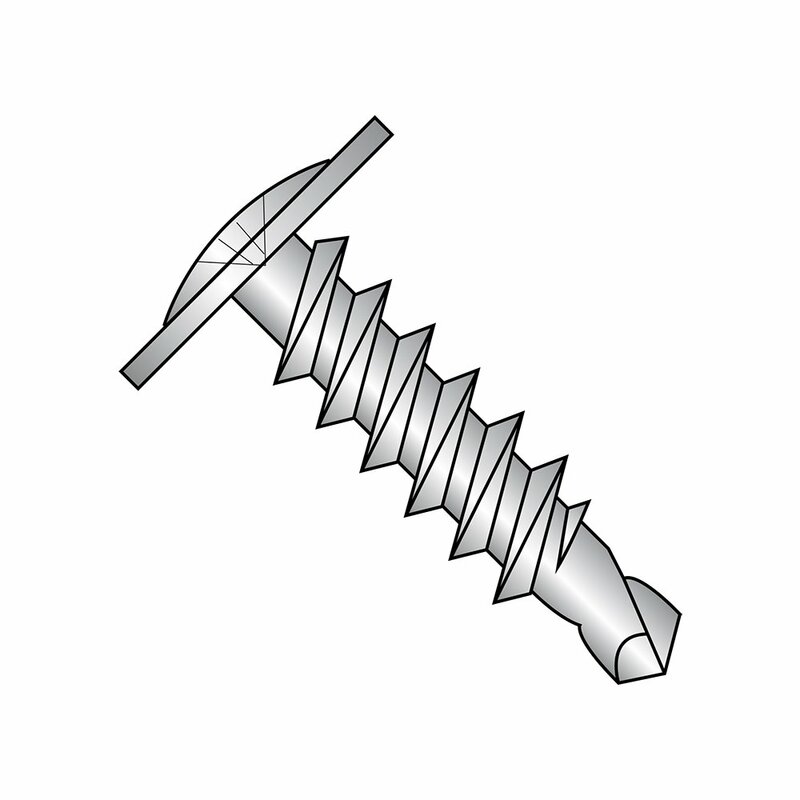 Self-drilling screws, a type of self-tapping screw, are threaded fasteners that drill their own hole and thread it as they are installed. 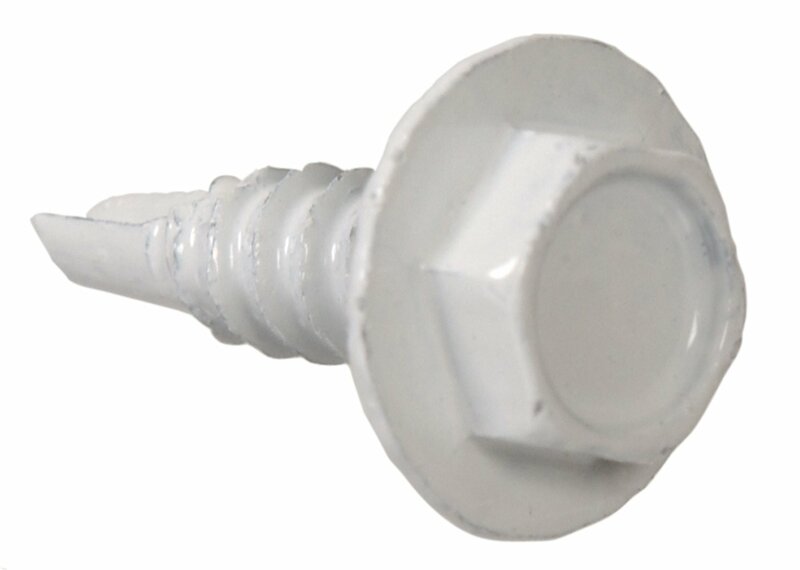 Usually only recommended for use with metal, self-drilling screws are available with wings that enable use when fastening wood to metal. The drill point length should be long enough to penetrate both materials being fastened before the threading portion reaches the material.